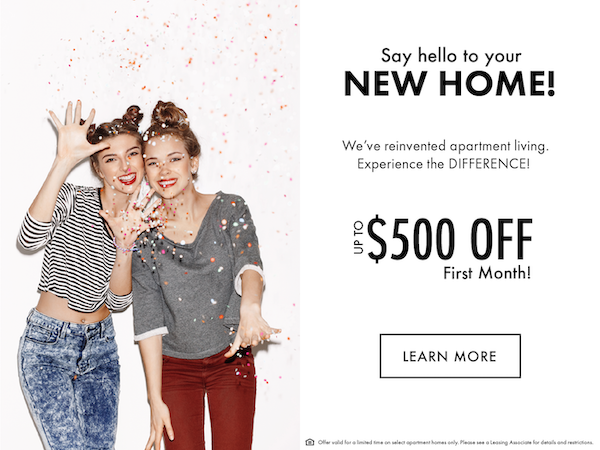 Lease today and receive up to $500 off your first month's rent! Offer valid for a limited time for immediate move-ins. Please see a Leasing Associate for details and restrictions.